NEST+M is one of five citywide gifted programs run by the DOE. Some parents believe in prepping their four-year-olds for the assessments; others do not. She found that the white parents view applying for gifted programs and preparing their children to score well on the admissions test as hallmarks of good parenting. For the black and Hispanic families, being a good parent had more to do with choosing a diverse classroom for their child and not “gaming” the system by practicing for the gifted test, according to the report, which appeared recently in the peer-reviewed journal Teachers College Record. The report comes as the education department and elected officials are considering how to enroll more students of color in gifted programs. In New York City, most gifted programs are housed in separate classrooms within a larger school. Often, the two are divided along racial lines, with white and Asian students far more likely to be admitted to gifted programs. Meanwhile, black and Hispanic students — who represent 70 percent of the city’s public-school population — comprise less than 30 percent of the gifted-and-talented enrollment. 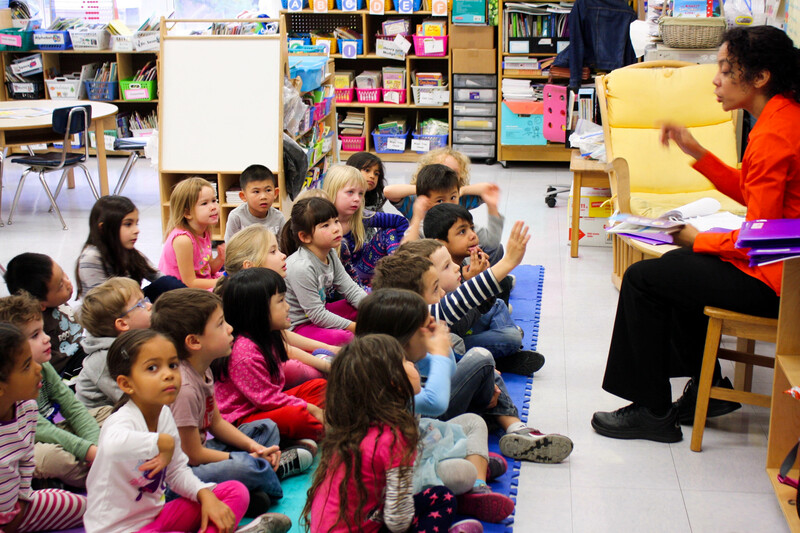 The most common entry point for gifted programs is kindergarten, with admissions based on test results. The white families Roda interviewed said they felt intense social pressure to have their children take those exams. Many of them said they questioned whether they should subject their children to such high-stakes testing, but they went along because “everyone else is doing it,” the report says. They also saw it as a pathway to competitive schools in later grades — and even college. While the black and Hispanic parents Roda interviewed had their children tested for gifted, none reported paying for tutors or otherwise preparing children for the test. For them, having to practice for the test meant your child wasn’t really gifted. Once their children started school, parents of color saw that their kids would be an extreme minority in gifted classes. They also reported that the gifted programs weren’t all that different from the education their children were receiving in general education classes. For those reasons, many opted not to retest their child if he or she initially missed the cut-off score for admission — as opposed to white parents, who repeatedly signed up their children for retakes. “They just equate it to a way to segregate children whose parents prep them for the test,” Roda said. Despite the time and resources white families said they poured into preparing for the gifted test, they didn’t think it was an accurate measure of giftedness. On that point, families of color agreed. Black, white and Hispanic families also agreed that school diversity was important. Understanding those similarities and differences could be important for efforts to better integrate gifted classes and the school system more widely. While some elected officials have called for expanding access to test prep and testing all pre-K students for giftedness as a way to increase black and Hispanic student enrollment, Roda’s research suggests that may not work since parents of color told Roda they were opposed to test prep. Instead, Roda suggests, the city should begin to spread the practices used in gifted classrooms to entire schools.